Next time you see a woman wearing her medals on the left, please thank her for her service. 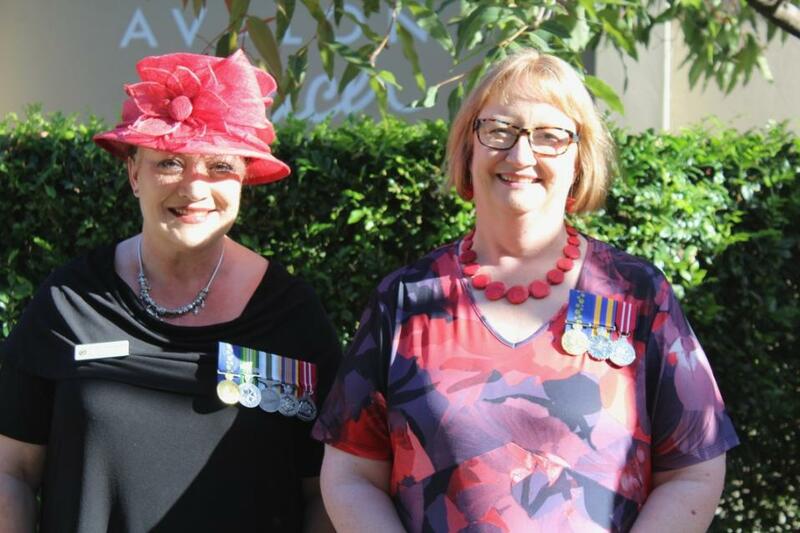 That’s the message members of the Women Veterans Network Australia (WVNA) seek to promote through their By the Left campaign in the lead-up to Anzac Day (the title is a play on words as ‘by the left’ is also a phrase of command used when marching). The campaign encourages women veterans to march together en masse in major centres all over the country on Anzac Day to raise awareness of their contribution to the Australian Defence Force. Some veterans are challenged about their medals because they look too young to be a veteran. Just remember, we were all young once. Veterans are young, old, male, female, current and ex-serving members of the ADF. There will be an especial element to the Avalon Beach RSL Anzac Day March in 2018. As a one time initiative, all current and ex-serving women are invited to march as one. All ex-service organisations including WRANS, WRAAC, WRAAF, AWAS, Ex Service Womens, WVNA, APPVA, RAANC etc. are invited to participate and proudly parade their banners in one rank at the front of the combined female veteran group. Let's proudly march to highlight the number of women who have and continue to serve. Background; If wearing your own medals, they should be placed on the left-hand side of your chest over your heart. If wearing someone else’s medals they should be positioned on the right-hand side. While Tamara Sloper Harding OAM runs as our Profile of the Week with a focus on her own Service record. The long and winding road across Nullabor commenced this week for local surf boat crews taking equipment to the 2018 Aussies, with crews from Palm Beach, Avalon Beach, Newport, Mona Vale and Warriewood wending their way west via a scenic route quite different in some ways to what they're used to but with water in sight across that rather large plain. Russell Lamb had a few problems along the way, posting on Facebook on Saturday morning; "Ex Surfboat towing machine for sale, (Surfboat not included) - Dream Catcher not working, Location: Ceduna Sth Australia". 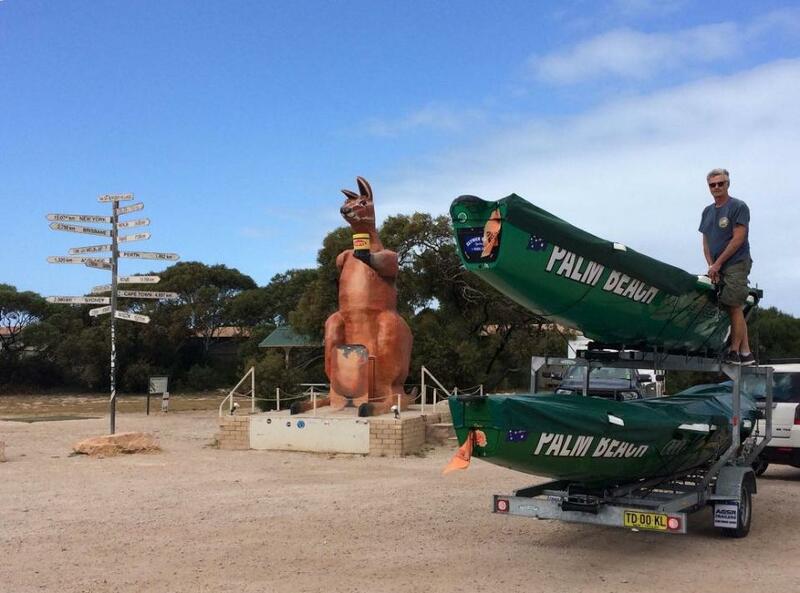 and; "Warriewood (is) checking out the exact furthest point from help on the Nullarbor. 1000km round trip back across the Nullarbor to Ceduna or 2000km to Kalgoorlie and back. Still hoping to get the boat there for Masters on Monday." Russell has got some help now and hopefully repairs can be made so they do get there. It would be a pity to see them not being able to carry the momentum which has seen them collect lots of Masters medals in recent surf sports events. As with all things surf boats, and in the Surf Life Saving movement itself, help is always on hand through fellow travelling Life Savers and all those Life Savers all along the route there and waiting to welcome them at the other end. If some of the photos coming through are anything to go by our local Life Savers are enjoying seeing some parts of Australia through their travels. Warriewood crews to Aussies are: Open women - Wahine's, Masters Women - Rusty's, Masters Men - Crustys. Palm Beach SLSC is sending 12 crews. Avalon Beach is sending 8 open division crews and 4 masters. Bilgola 1 x masters and 1 x U23 women. Some Scarborough, Perth 2018 Aussies stat.s; Open Men - 36; Open Women - 23; Reserves Men - 45; Reserves Women -31; Colts - 31; Fillies - 21; Juniors - 25; Girls - 18; Relay - 8; Masters all up - 93. And that's just surf boat crew members that have headed west. The 2018 Aussies runs from April 14th to 22nd. Youth Championships run 14 -15 April, Masters Championships run 16 -17 April, and Opens Championships run 18 – 22 April. Joel Piper (Newport SLSC) has already won two GOLD medals in the Australian Youth 2018 Aussies on Day 1 - 1 for U14 Male Ironman, 1 for U14 Male Board Race. Interviewed after the Board race he thanked James Brooks, Trent Herring and all his other coaches at Newport as well as his Carlile swim coaches, stating that program has really made a difference to his 2018 Aussies results so far. 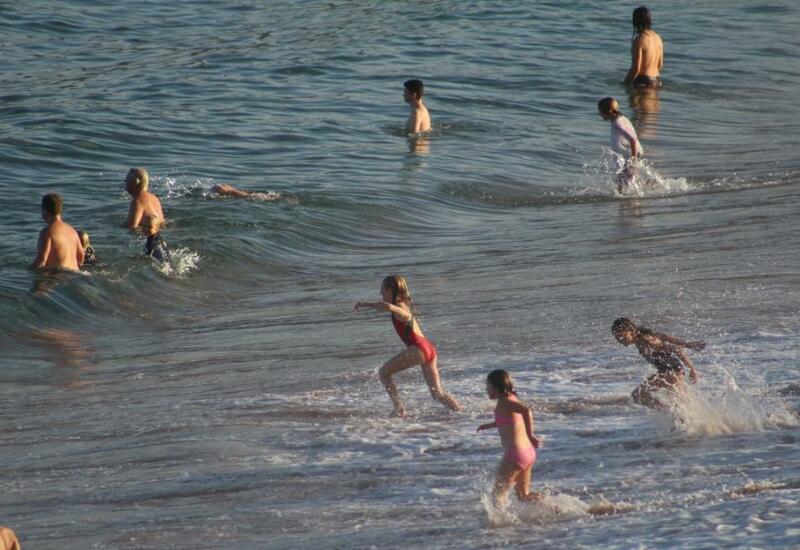 The Australian Surf Life Saving Championships is an annual event where, in 2018, over 6000 competitors from Australia’s 311 Surf Clubs come together to compete in more than 450 beach and ocean events. It is the largest event of its kind, only comparing the likes of the Commonwealth Games. In 2018, everyone is heading back to the beautiful coastline of Scarborough, Perth in Western Australia. The spectacular twilight beach track will be back, champion title holders will be defending their titles and our members and families will again be coming together to celebrate the community that is Surf Life Saving Australia. 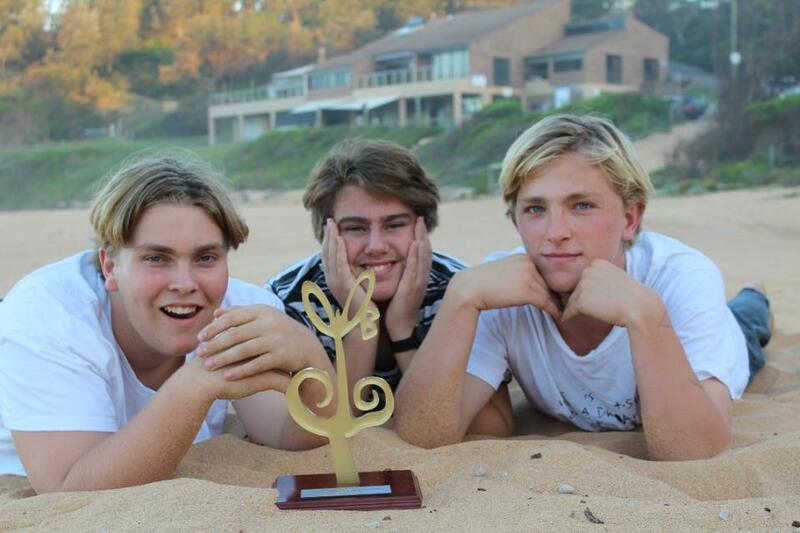 Niam Melville, Rowan Mitchell and Euan Harris - Gold WillBe winners 2018 - at Warriewood beach. A J Guesdon picture. Euan Harris, Rowan Mitchell and Niam Melville took out the Gold 1st Prize WillBe award for the under 16’s films at the 2018 Creative Creatures Film Festival for their The Parable of Kurt and Vince. The creative drive in this trio may stem from kindergarten fun, where they first met, and persists despite the boys now attending two different local schools, Pittwater High and St Augustine’s College. It’s not their first venture into film either. There are actually two Mitchell sons appearing in The Parable of Kurt and Vince, Lewis and Rowan, although Lewis only appears briefly. Lewis, along with Max Bibby, Max and Daniel Mitchell (dad) made such a great film they took out the Bronze WillBe for Flying High. So, lots of Mitchells involved in this year's CCFF! The other big winner this year was Jackson Baker for Revive in the over 16's category. Currently doing Education at UNSW, Jackson applied a little of the ‘Lifelong Learning’ credo in his work which owes a little inspiration to the 2005 film Sin City, as he learned to use the Premier Pro program as part of his work. Jackson also created the music, which bodes well for him if he enters next year as the Creative Creatures Film Festival #6, which must include a reference or image referring to ‘BIG’, will also have prizes for the Best Original Music Score and Best Movie Poster. Katy Young, creator of the Creative Creatures Film Festival with Jackson Baker, creator of Revive. A J Guesdon picture. Budawa Aboriginal Signage Group and friends. Left to right; Aunty Lois Birk, Jess Birk, Julie Janson, Lauire Bimson, Neil Evers, Jeni Thornley, Aunty Clair Jackson. A J Guesdon picture. 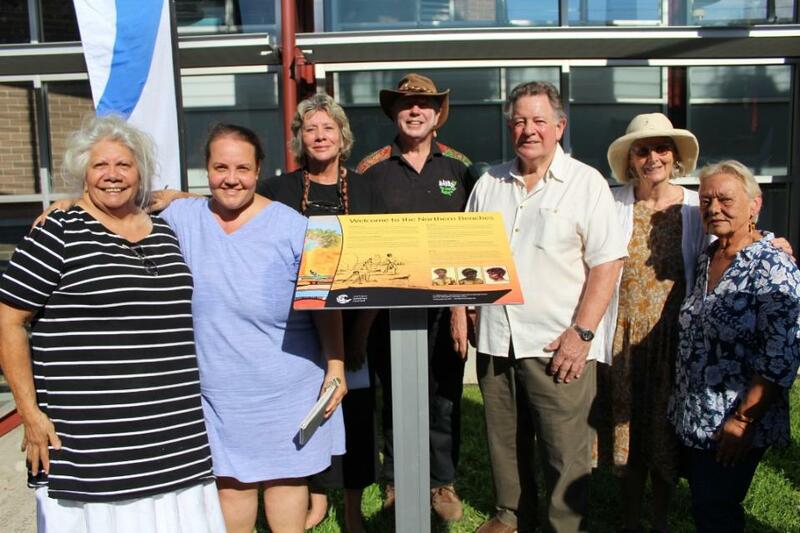 A striking new piece of signage at Mona Vale Library that honours thousands of years of Aboriginal history and cultural diversity was unveiled at a ceremony on Monday 9th of April, 2018, with more than two hundred members of the local community and visitors in attendance. The incorporated artwork features both contemporary and historical design elements, including a vibrant and colourful painting by contemporary local Aboriginal artist Jessica Birk. The artwork combines traditional ‘dot painting’ and Western techniques, positioned together on a surf-board motif in a gesture to today’s local lifestyle. Ms Birk’s painting sits alongside an interesting account of the life of the Aboriginal man Bungaree, a prominent figure on the Northern Beaches in the early 1800s. This sign, the first in a series proposed for here, was officially unveiled by Mayor Michael Regan and members of the Budawa Aboriginal Signage Group. The launch on Monday commenced with a traditional smoking ceremony by Aunty Lois Birk, wonderful traditional songs and dances, in which students from Mona Vale and Newport public schools participated in the 'flathead' dance, and a Welcome to Country. Councillors Kylie Ferguson, Sarah Grattan, and Sue Heins were also in attendance to support the first sign unveiling and pay their respects. For those who could not attend, the Addresses given by Neil Evers and Julie Janson, Budawa Aboriginal Signage Group, and some images of the ceremony, run HERE. 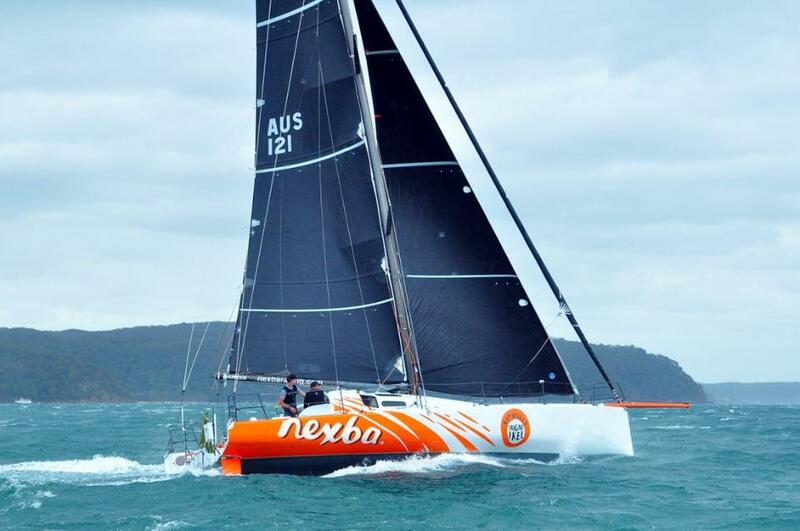 2019 Club Marine Pittwater To Paradise Regatta First Entry: Nexba Racing! Within hours of the Notice of Race going live, the Royal Prince Alfred Yacht Club’s sailing office accepted its first Club Marine Pittwater to Paradise Regatta entry – John Bacon’s Class 40 Nexba Racing. Until Cyclone Iris sent competitors to a safe place to wait out the worst conditions, Nexba Racing was tracking well in the double-handed Melbourne to Osaka fleet. Bacon and crewmate David Sampson made for the port of Gladstone on the advice of organisers but weren’t able to return to their position within the prescribed time, due to ongoing extreme weather. Two days later, on April 6, they made the difficult decision to withdraw, 11 days into the 5,500 nautical mile challenge. Bacon was back at the RPAYC in Sydney this week when the Club Marine Pittwater to Paradise Regatta Notice of Race went live and he took the opportunity to put Nexba Racing forward as the first entry for the annual coastal race starting at 1pm on January 2, 2019 just north of Barrenjoey Headland at the entrance to Broken Bay. “We identified a second challenge for owners, which is the belief they need to have their boat inclined in order to find out if they are eligible to enter a Cat 2 race,” Elliott added. “Owners will often find the stability curve and data is already in existence for most standard yacht designs, which enables them to understand quickly if they qualify from the construction side. This weekend (April 14th) three of the Rats finest reach Club milestones. All three are premiership players and wonderful clubman that’s display what being a Rat truly is. As they take the field we say thank you for your service and dedication to our community. Our Trial season started March 10 with a physical match against Easts down at Porters Reserve. For some of our players it was a trip down memory lane playing on the field where it all started for them. The novelty of re-visiting the home of one of our village clubs proved both satisfying and nostalgic. We had a solid win against Easts, but still a lot to work on. We’re approaching this season with the loss of 3 starting players from our 1st Grade Grand final team; Sam Needs (Japan), Tom Connor (Australian 7s) & Josh Gillard (Canberra-career) along with Cam Treloar (retired…again) Tasi Tuitohu (Work) from the Grand final 23 man squad. Regular 1st Grade contributors Mick Adams (Manly) & Paula Kaho (Wests) have decided to move on. 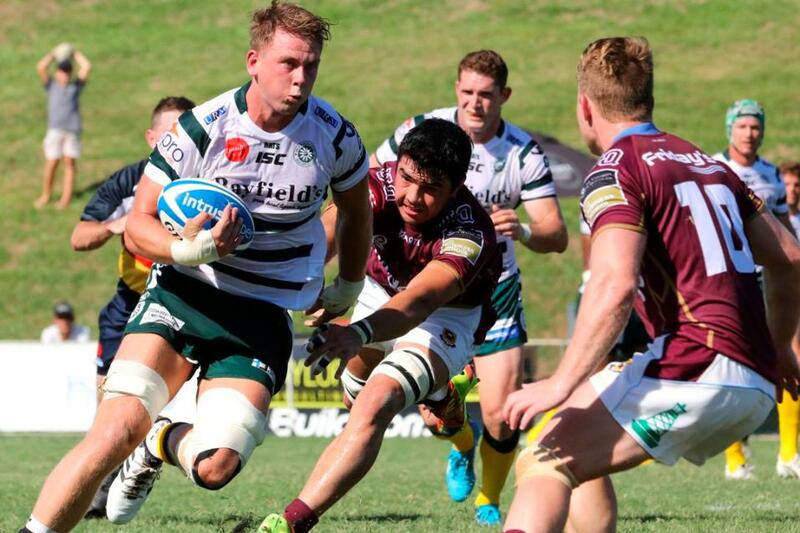 Following the first trial was the much anticipated Club Championship game against University of Queensland. Back at Rat Park for the first time in 2018 we had a good crowd and a taste of promising things to come. The day was sponsored by NSW Government initiative “Tackling Violence”, a code of conduct that we’ve signed up to as a Club and is one of the many community engagement focuses for this year. The boys came away with the silverware which was yet more icing on the cake on the back of last years’ Premiership win. 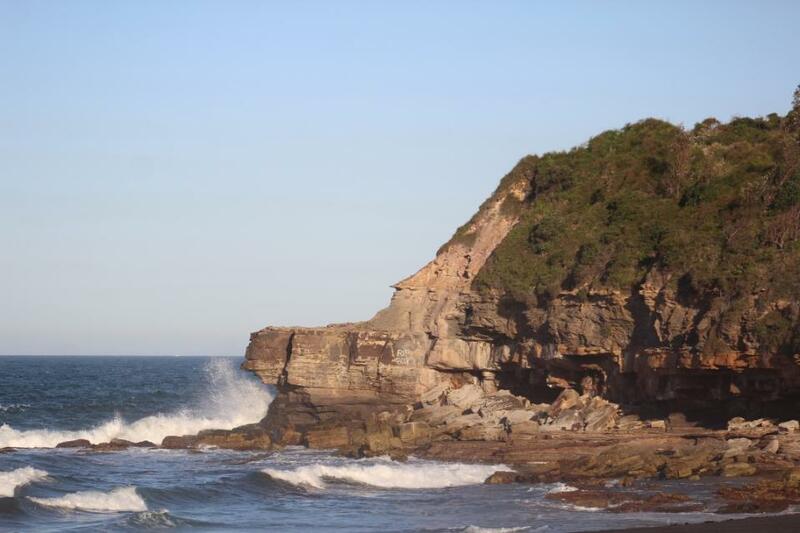 The Warriewood-Turimetta Headland - a location of Rock Fisher rescues. A J Guesdon picture. 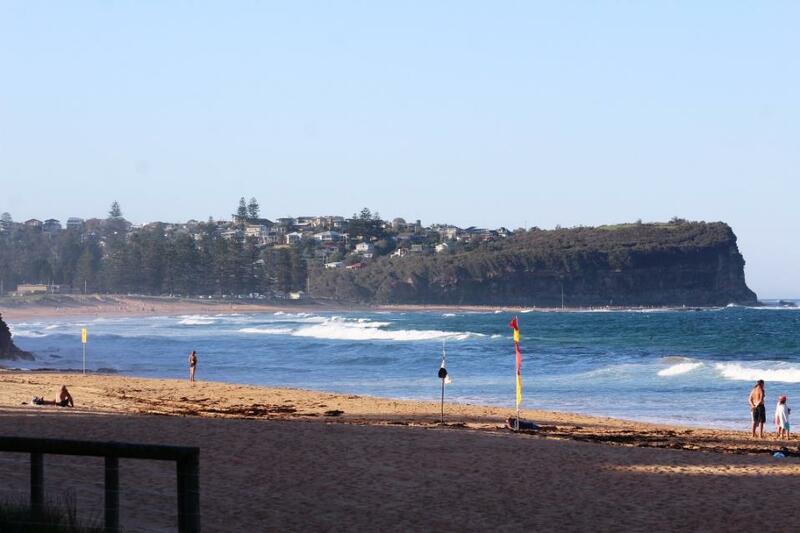 Surf Life Saving NSW has welcomed the NSW Government’s announcement of the second stage of the Rock Fishing Safety Act made in Sydney on Friday morning (April 13th). Following the completion of a 12-month trial of mandatory lifejackets in the Randwick Local Government Area, coastal councils can now opt-in to make the legislation active in their area. Surf Life Saving NSW CEO Steven Pearce said today’s announcement is an important step in changing behaviour towards wearing lifejackets and increasing safety around rock fishing. “As first responders, lifesavers see the devastating impact on families and communities when rock fishing accidents occur,” said Steven Pearce. Rock fishing drownings continue to be a source of frustration for the lifesaving community with rescuers forced to put their lives on the line to save anglers in sometimes treacherous conditions. 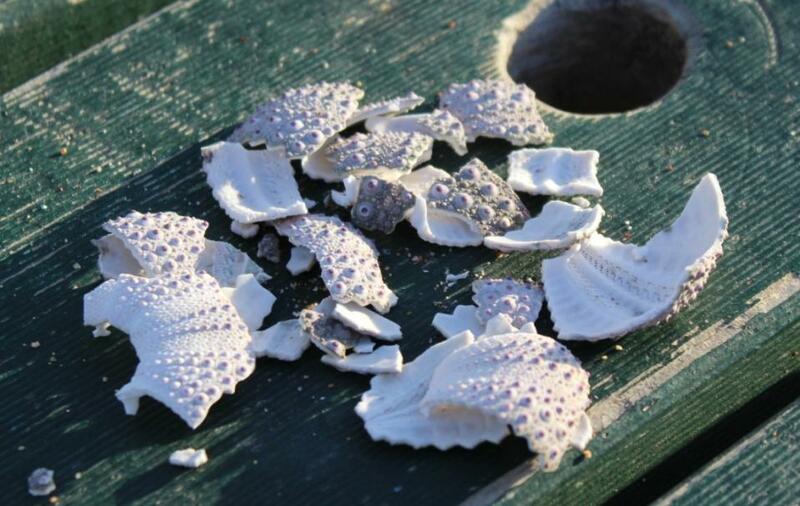 In the last fortnight there have been two rock fishing tragedies in NSW waters including the death of a fisherman off Windang Island in the Illawarra and an incident at Middle Head in Sydney on Wednesday where the body of a 65-year-old fisherman was recovered. The two incidents brings the total number of rock fishing fatalities in NSW in 2017-18 to seven and with two and a half months of the season remaining, there is a real concern that number could rise. In 2016-17 there were a total of eight rock fishing deaths in NSW. Since August 2015 there have been 25 coastal drownings attributed directly to rock fishing, largely as a result of people either slipping off exposed platforms or being washed into the sea. Of these, 10 occurred during autumn or winter with many recreational fishers taking advantage of the conditions at this time of the year. In almost all of these incidents the fishers were not wearing a flotation device, and the victims were overwhelmingly male. 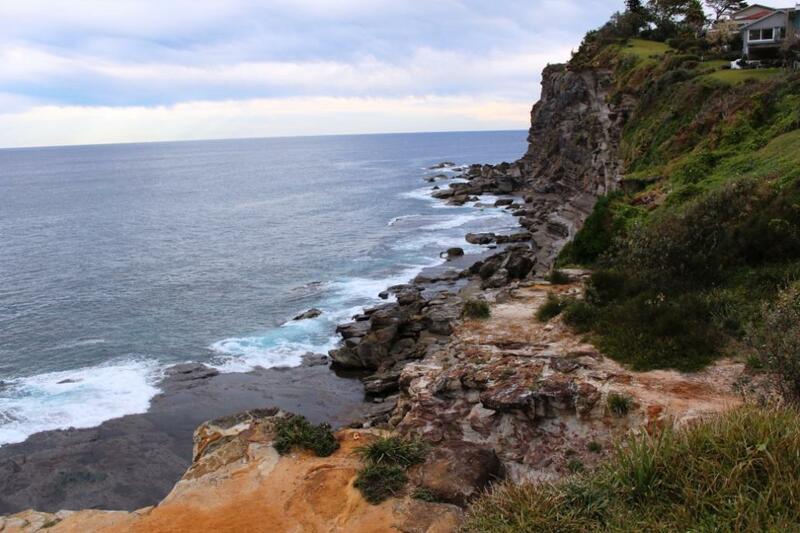 The Bangalley Headland rockshelf at Avalon Beach - another location Rock fishers are rescued from. A J Guesdon picture. Gladys and Bruce Robertson with...the Bruce Robertson!. A J Guesdon picture. 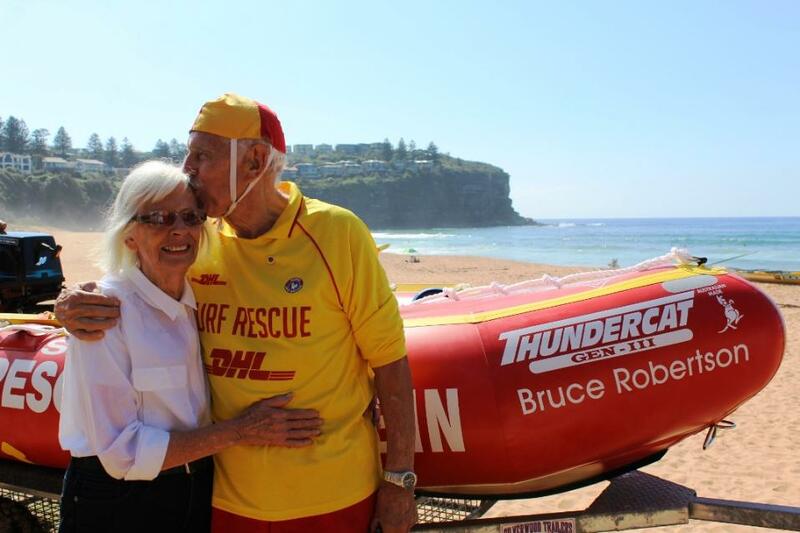 Beachgoers at Bilgola on Sydney’s Northern Beaches on Sunday (April 8th) were fortunate enough to be part of history as Australia’s oldest active lifesaver bade farewell to his patrol for the final time. Bruce Robertson OAM was just 12 years old when he pulled on the famous red and yellow cap for the first time at Mona Vale, and 76 years later he takes it off after a lifetime devoted to the service of not only his local community but of Sydney as a whole. The Sydney beaches that Robertson began patrolling in the pre-war years were very different to today. For a start, in 1942, there was a genuine fear that Australia would be invaded. 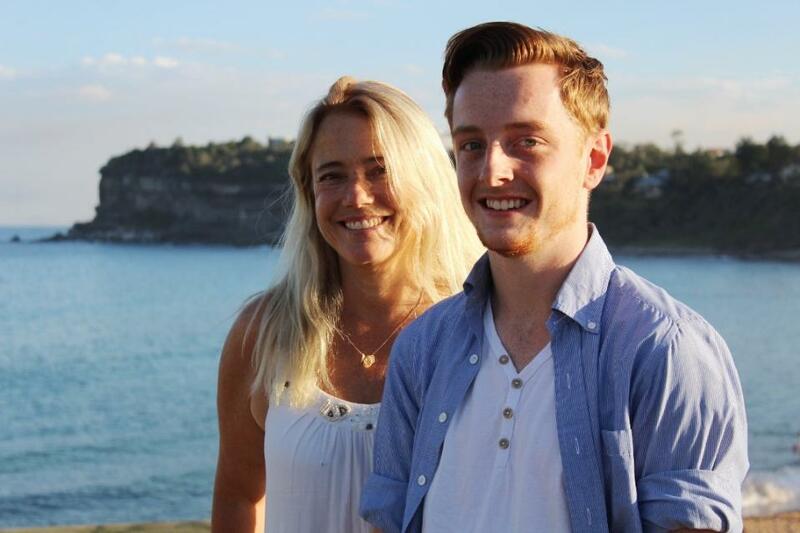 To protect against the enemy, barbed wire and concrete bollards were a constant site on beaches across Sydney, and he spent a fair amount of time dealing with injuries from that than any incident that happened in the surf. ''The beach was full of barbed wire fencing and concrete bollards because of threat of a Japanese invasion,'' Bruce said. Due to a shortage of men in the area, a young Robertson was pressed into service much earlier than otherwise would have been the case and was a willing participant in the scheme to achieve their bronze before they were legally allowed to do so. At 14, he did the Bronze Medallion with mate Rod Taylor. The pair had to fudge their ages on the paperwork as they were too young to officially get their medallion. While he was living in Rozelle as a kid, he met up with Rod Taylor at a newsagency in the city and the pair decided to join a surf club. Rod Taylor lived in Lidcombe. 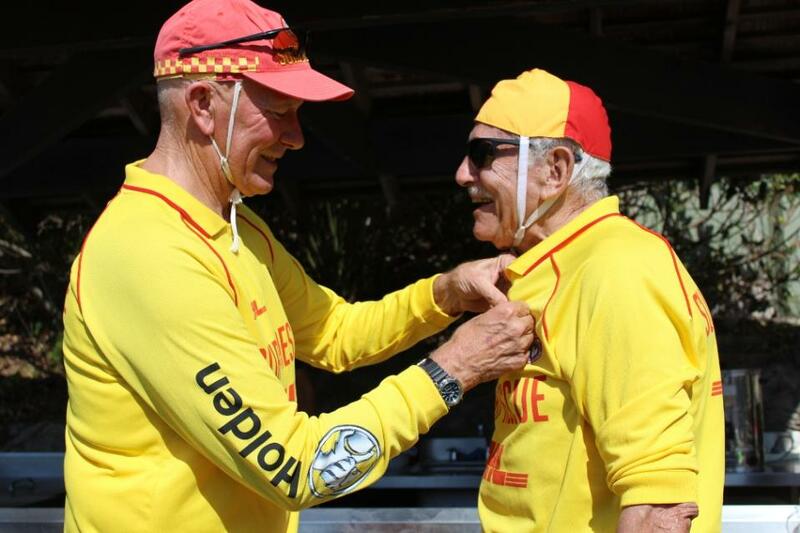 The pair decided to join Mona Vale SLSC and they started patrolling in 1942. ''There was petrol rationing in those days because of World War II which meant you couldn't travel by car,'' Bruce recalled. That friend would go onto a brilliant career on the silver screen becoming familiar to audiences around the world as the actor Rod Taylor. On his final day as a patrolling lifesaver, Bilgola SLSC members came together to recognise him in a special way by launching an inflatable rescue boat (IRB) named in his honour and provided to the club through the Blackmore Foundation. SLSA President, Graham Ford AM presented him with a medallion in recognition of his service to International Lifesaving as well as his 70 year SLSA service pin. Alyse at the Combined Australian Hansa Class Championships. Photo supplied. While all eyes may have been focussed on the Gold Coast during recent weeks and the Commonwealth Games, a wonderful inclusive sporting event is about to commence in South Australia as the 2018 Special Olympics National Games in Adelaide begin on Monday April 16th and run until the 20th of April. Local sailor Alyse Saxby will again be sailing in these games, in the 303 Singles and in the Doubles with Melissa Nelson, the lady who was part of the 2015 Gold Medal crew of Saxby-Nelson that secured that podium spot at the 2015 Special Olympic World Games in Los Angeles. After winning gold in 2011 in Level 2, Alyse bought a spiral sailing dinghy to gain selection in Level 3. Alyse teamed up with Melissa from Port Stephens Sailability and they first travelled to Japan to sail the 303 doubles in the Hiroshima Peace Regatta. In the selection trials in Melbourne the pair won and gained selection for the World Games in Los Angeles and were chosen to contest Level 3 with instructor Chris Ruston on board as coach. 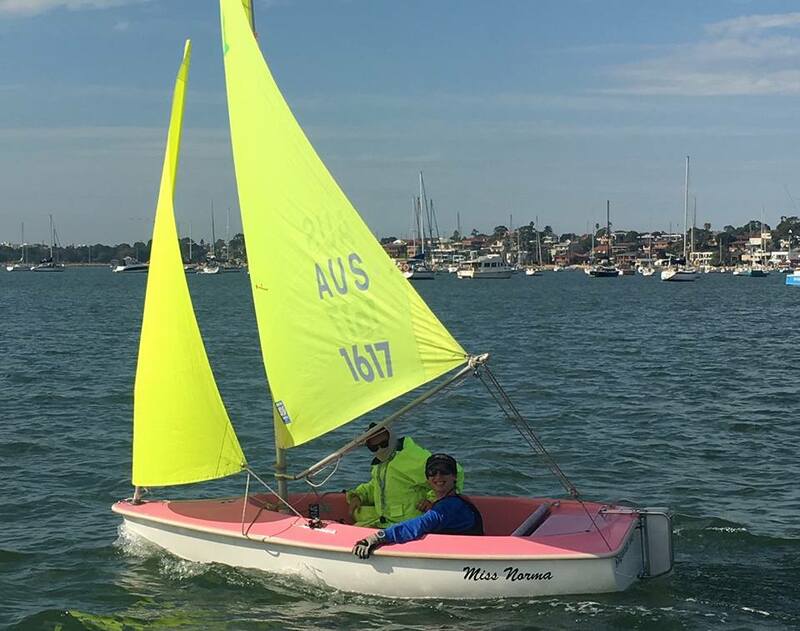 Alyse was selected in the NSW Sailing team to compete against other states for a place in the team to represent Australia for her fourth time at the Special Olympics World Games which will be held in Abu Dhabi in 2019. The sailing for the Adelaide Games will take place at Adelaide Sailing Club, West Beach. Over the March-April Easter weekend Alyse had another practice run by being part of the Combined Australian Hansa Class Championships, which were hosted by by Kogarah Bay Sailing Club with Sailability Kogarah Bay. Although an original Sailability Pittwater girl and now part of the excellent program being run through Sailability Crystal Bay, supported by the Royal Prince Alfred Yacht Club, Alyse sailed under the Port Stephens Sailability moniker for these championships. The Combined Australian Hansa Class Championships showcased some great talent and bright promise for the World Hansa Class Championships in Japan in October, which Alyse will be going to. Some 70 sailors from seven states as well as from Japan and New Zealand competed, supported by 36 volunteers from Hansa-associated sailing clubs as well as Sailability members from several states. They sailed on 54 universal-design Hansa sailboats, competing in a spirited manner over the four days 30th March to 2nd April. Competitor’s ages ranged from 10 to 85 with a 50/50 gender split. Pittwater's own Allan Jones competed for Crystal Bay Sailability in the Hansa 2.3 and is now the current State Champion! The Painted Button-quail opens her eyes again - photo by Lynleigh Grieg. A Painted Button-quail, seldom seen, was saved by Penel Bigg’s father on Monday morning. Mr. Phillips rescued the tiny bird from the family pool where it was found floating and exhausted. Penel quickly got in touch with Lynleigh Greig, a Sydney Wildlife volunteer, who came and picked the tiny bird up, had it checked by a vet and then cared for it at her home. So we now know there is at least one Painted Button-quail residing in the Warriewood wetlands – Elanora Heights area! The painted buttonquail (Turnix varius) is a species of buttonquail, the family Turnicidae, which resemble, but are unrelated to, the quails of Phasianidae. This species is resident in Australia where numbers are believed to be in decline. A subspecies, the Abrolhos painted buttonquail (Turnix varius scintillans), is endemic to the Houtman Abrolhos islands. The painted buttonquail was first described by the English ornithologist John Latham in 1801 under the binomial name Perdix varia. Waiting for a Wave, North Avalon, Friday afternoon, April 13th, 2018. A J Guesdon picture. Mona Vale Beach in Autumn 2018. A J Guesdon picture. Sea Urchin Deconstructed. A J Guesdon picture. Callistemon citrinus - Crimson Bottlebrush - at Mona Vale this week. A J Guesdon picture. This is a hardy and adaptable species, common in its natural habitat. 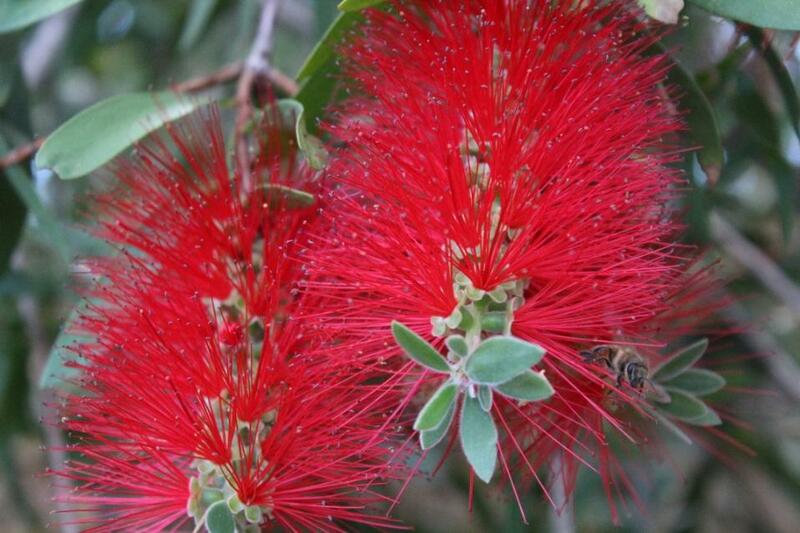 It is widely cultivated, not only in Australia, often as a species of Callistemon. It was one of the first Australian plants to be grown outside the country, having been taken to England in 1770 by Joseph Banks. Its showy red flower spikes, present over most of the year in an ideal situation, account for its popularity. Melaleuca citrina was first formally described in 1802 by the French botanist Georges Louis Marie Dumont de Courset in Le Botaniste Cultivateur. The species had previously been known as Metrosideros citrina, in turn named by William Curtis in the Botanical Magazine in 1794, based on a flowering plant growing at Lord Cremorne's estate. That plant had grown from a root collected in 1770 at Botany Bay by Joseph Banks during the first voyage of James Cook to Australia. Curtis noted that the leaves "when bruised give forth an agreeable fragrance." The specific epithet (citrina) alludes to the similarity of the aromatic property of leaves of this species and those of citrus plants. Callistemon citrinus is regarded as a synonym of Melaleuca citrina by the Royal Botanic Gardens, Kew. This flower, as a flower essence (Australian Bush Flower Essences - ABFE), helps people move through major life changes and the overwhelm that often goes with those changes, especially retirement, menopause, adolescence or death, etc. It 'brushes' out the past and allows the person to move on. So relative to being seen and blooming during Autumn too! Water Sprint by Water Sprites - North Avalon, Friday afternoon, April 13th, 2018. A J Guesdon picture.